More often than not, the very best food is not found at the largest, most heavily advertised restaurants. The hype, the familiarity and overall safeness of these places often obscure where we really should be eating. 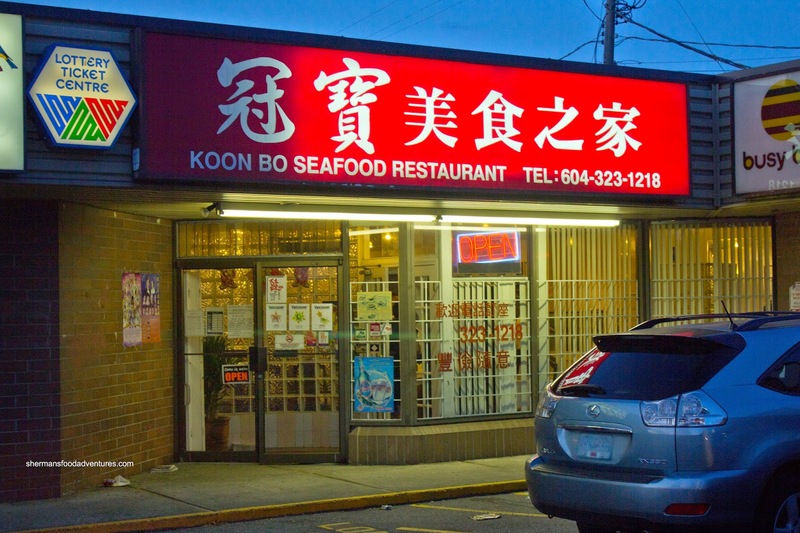 Tucked in the corner of the NE corner of 41st and Fraser, Koon Bo is a place that is not really a hidden gem (because they have won awards), but isn't as well-known as it should be. After several great meals in the past, it was about time we revisited the place. Worked out well too as my uncle was back in town and we needed to treat him to a meal. 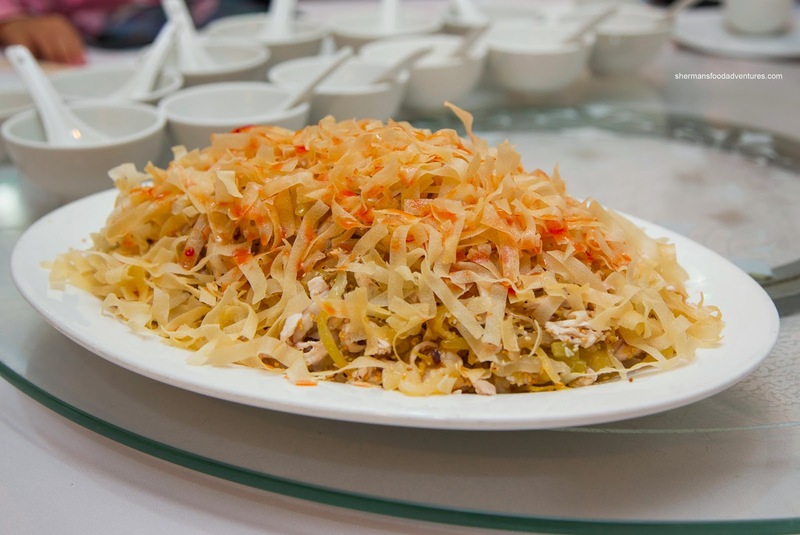 Now no meal would be complete at Koon Bo without their famed Shredded Chicken Salad. Seemingly something so simple with only shredded chicken, pickled mustard greens, wonton crisps, jellyfish, sesame seeds, sesame oil and hot sauce, it is a dish that begs people to go back for seconds. Although I didn't find the dish outstanding, it was still an enjoyable concoction that included plenty of textures and flavours. There wasn't any shortage of shredded chicken and pickled mustard greens, but it was lacking in jellyfish. 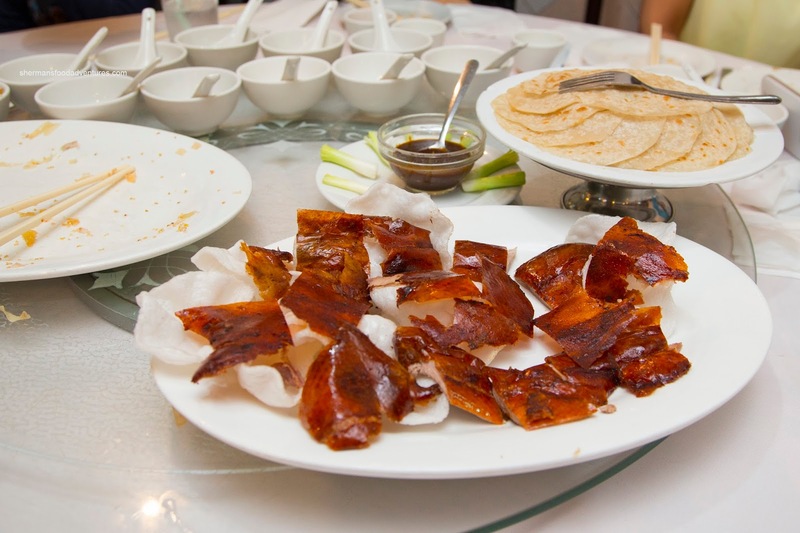 Another Koon Bo favourite is their Peking Duck. As evidenced in the picture, the skin arrived in a beautiful rich hue. There was minimal fat underneath the lightly crispy skin. I wasn't a huge fan of the crepes though as they were a bit dense. Onto the second course of the Peking Duck, we had the Duck Lettuce Wrap. By the looks of the picture, the portion size was pretty large. With plenty of wok heat, the caramelization of flavours was present as well as a good dose of seasoning. 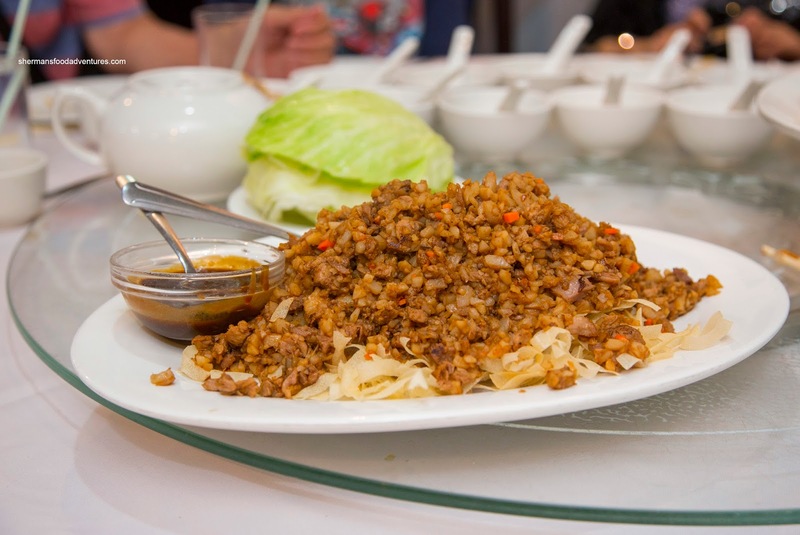 The diced veggies were still crunchy while the finely minced duck was plentiful and moist. We also liked the neatly trimmed lettuce cups which weren't dripping with water. We had another favourite at Koon Bo being the Deep Fried Stuffed Bean Curd with Honey Garlic Pork Chops. The pork chops were crunchy on the outside and mostly moist and tender on the inside with barely enough honey garlic to coat each piece. 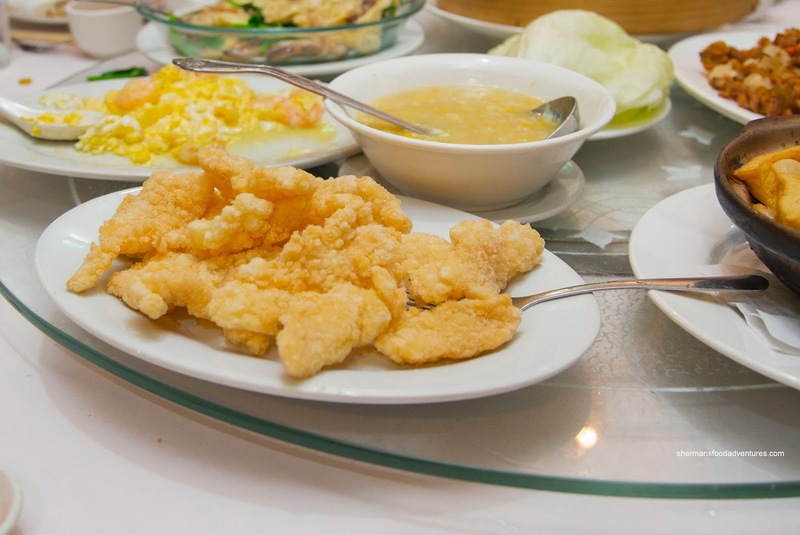 I've had this dish before and I like the pork chop portion, but I've never understood the draw of the fried bean curd. It's crunchy, but the mix of mushroom, veggies and shrimp end up as a mushy mess in my opinion. Based on our server's suggestion, we tried the Wintermelon with Dried Scallops and Shiitake Mushrooms. Doused in a good amount of watered-down and subsequently thickened oyster-flavoured sauce, the entire dish was actually quite mild. The majority of the Earthy flavours emanated from the scallops and shiitake. Underneath, the wintermelon was soft while not mushy. We enjoyed this dish, but it was hardly memorable. Next up was the Scrambled Eggs and Shrimp. 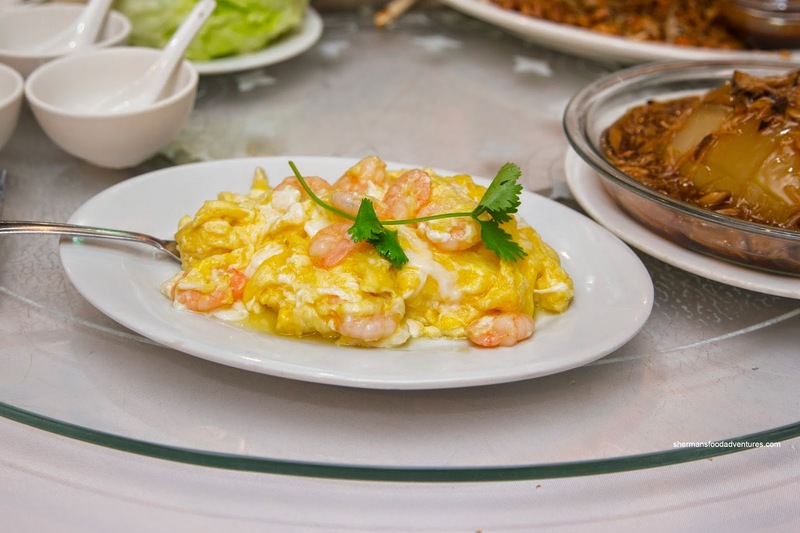 This was a well-executed dish where the egg was silky and soft while not being overly greasy. Despite being small, the shrimp exhibited a cold-water snap. Overall, the dish was a too heavy on the salt though. 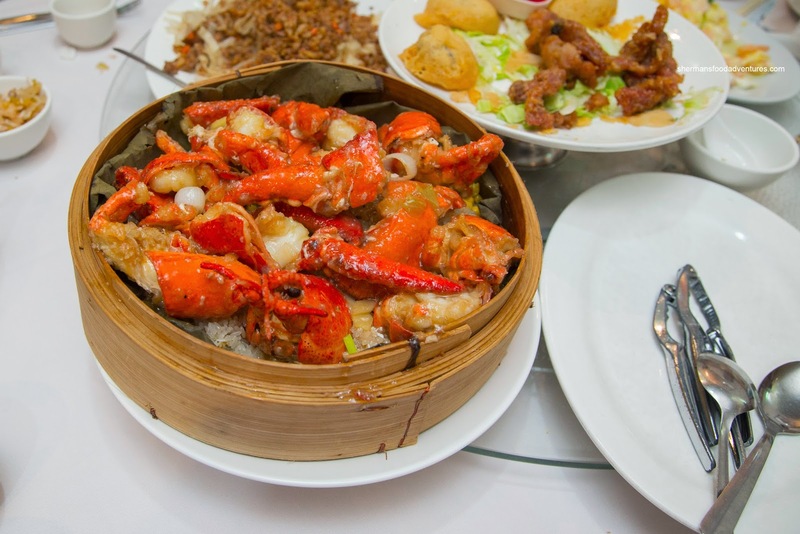 With great anticipation, the Lobster atop Stir-Fried Sticky Rice arrived in a large bamboo steamer. 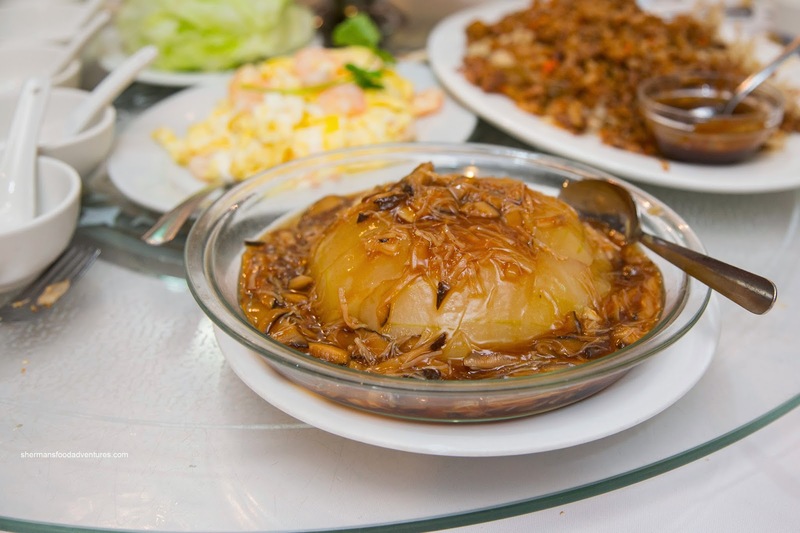 This version could give the one served at Ho Yuen Kee and Old Buddies a run for their money. They didn't skimp on the rice nor lobster (but then again, we paid by the pound with that big sucker). We found the rice chewy, but at the same time, it was moistened by the lobster sauce. The lobster itself was cooked just right retaining a bounciness accented by its natural juices. 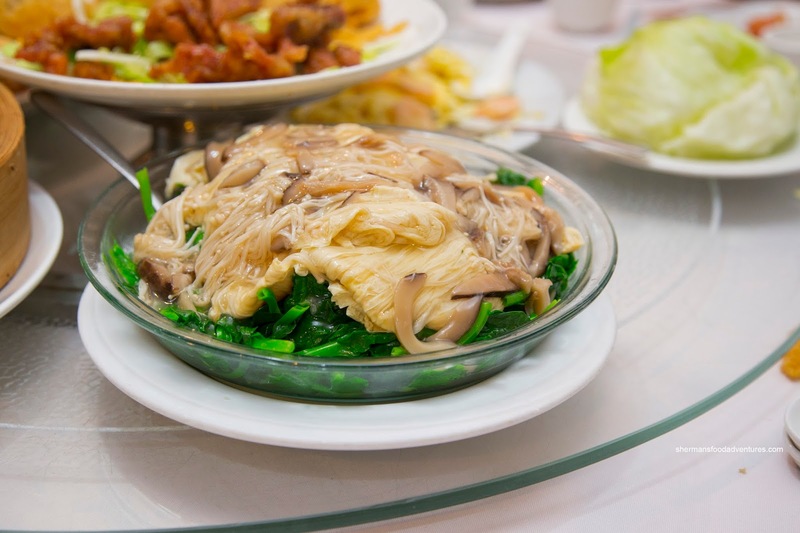 Onto some veggies, we had the Pea Shoots with Bean Curd Skin and Mushrooms. This was another massive dish with tender pea shoots that were still crunchy and vibrant. The flavours were very mild bordering on bland. The ample amount of bean curd skin was excellent being soft with a slight chew. We also enjoyed the plethora of enoki and shiitake mushrooms. We ended off the meal with the Seafood Tofu Hot Pot and the Fried Fish with Creamed Corn Sauce. 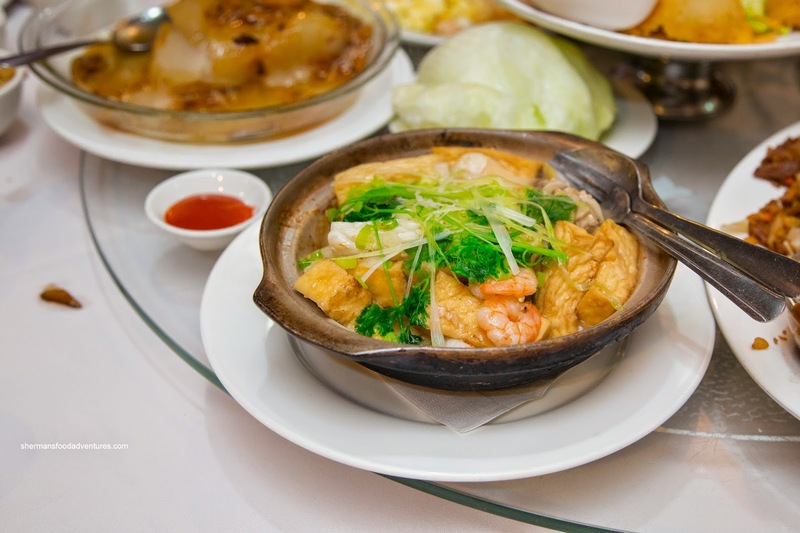 Burning hot and sizzling, the hot pot featured properly cooked seafood except for the rubbery shrimp. We liked the squid though as it was tender with some bite. 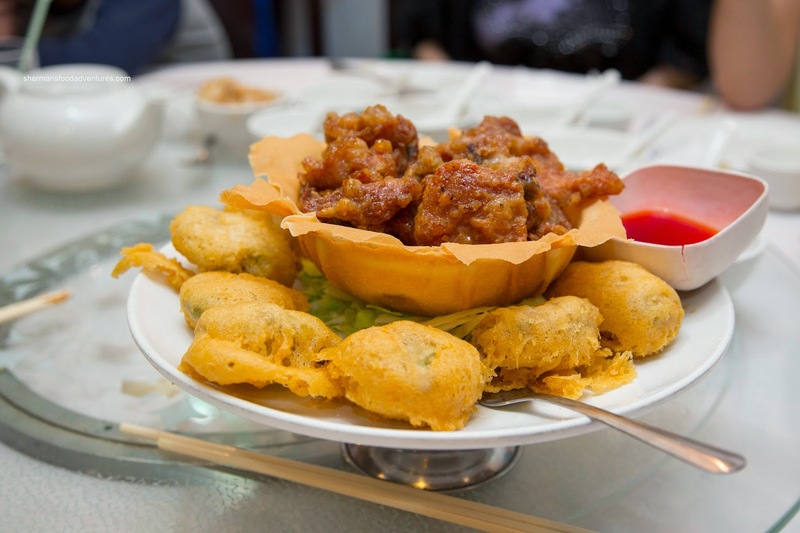 The big pieces of fried tofu were silky with an appealingly fried exterior. To ensure that the fried fish didn't become soggy, we asked for the sauce to be served separately. Hence, the fish was crunchy, but it was pretty dry due to the thinness of the fillets. We found the sauce to be rather runny and more salty than sweet. Once again, Koon Bo offered up a better-than-average meal featuring large portions. However, the place is super cramped which means comfort is kept to a minimum. Also, the prices are definitely on the higher end, especially for this class of restaurant. We really want to like Koon Bo a lot more. And while their food is above-average, the ambiance and the room feel down-market (they loooove fluorescent lighting !) and the prices can be a bit of sticker shock. Our current favorite in the area is ALWAYS on Main St/28th for their overall quality, service, ambiance and value.